During my first full day in prison, I had asked my cellmate when we would be able to go to canteen. Canteen is where inmates are able to purchase basic hygiene and food items. My cellmate told me we would not be going anytime soon because we were on lockdown. Lockdown means no leaving the cell at all and losing access to yard, day room, phone calls or canteen; sometimes it can even mean losing visiting. I had just arrived the night before, I didn’t understand why I was on lock down and denied access to canteen. From what my cellmate told me, a day or two before I had arrived at Tracy, there had been a small riot during yard. Everything I was told about this incident was second-hand information from my cellmate and eventually others. None of them had even witnessed it or spoken to anyone who had. From what I was told, four Caucasian guys had been attacked by nineteen Northern Hispanic gang members. At least some of the Northerners had weapons to wound the four Caucasian guys with. As a result of this violence I was told all the Caucasians and Northerners were now on lockdown. It did not seem fair to me that the men who were not actually involved in the incident were being punished. 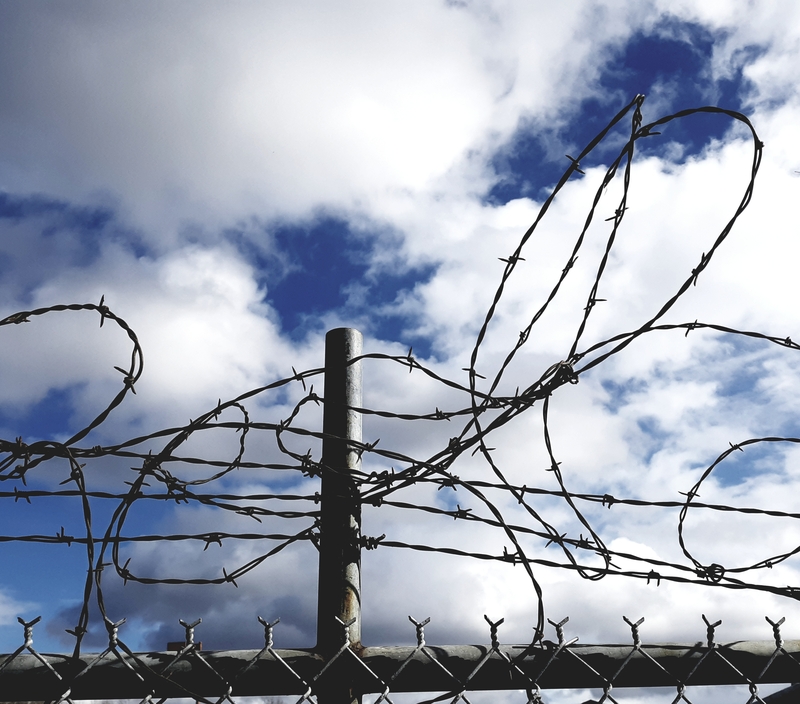 From the prison’s perspective, by locking the inmates down they were preventing the two groups from retaliating or escalating the violence; attempting to break the cycle of violence and the inmates’ ability to respond. As I would learn, it is a common theme within the California Department of Corrections and Rehabilitation to punish everyone as a whole rather than addressing specific problems. This method is rarely successful or effective, as men in prison who commit acts of violence hardly act with any rationality behind their actions. Instead, resentments, hostilities, and fear build inside locked prison cells. I did not want to be a part of any of it. I did not want to be on the active gang side. I did not want to be involved with any of their violent criminal behavior. I also did not want to be punished for the behaviors of others either. Knowing I would not get access to canteen for a long time, I realized I was going to have to do more to provide for my essential needs. I worked on drawing more cards to trade out on the tier. This allowed me to get some real toothpaste; not a whole tube but a good amount squeezed out into a plastic bag and tied off to seal it, then I cut a small hole in the corner of the bag. This is a common practice in certain prison environments where access to canteen is limited. I also traded for a larger piece of deodorant, stamped envelopes to write home, extra food items, shots of coffee, and of course the drink-mix packets. I did not have much but I was finding my way. After about a week of being at Tracy, I received my first writing package in the mail. This was a small miracle as mail in Tracy usually took weeks to be passed out to the inmates. In this writing package I received lined writing paper, two pens, envelopes, and two books of stamps. By then I knew books of stamps were a form of currency, they were not worth their face value paid at the post office, generally being worth about half price on the tier. Due to the lockdown at Tracy and the law of supply and demand, goods on the tier were limited and the value of stamps was even lower. The guys in the next building over, E-Wing, were not on lockdown. My cell did not face E-Wing but a guy my cellmate knew had a cell that did. This guy assured my cellmate that he could trade a book of stamps to E-Wing for a bag of coffee. Coffee was even better currency than stamps. If I sold the stamps for the coffee, I would be able to double my stamps, thus being able to trade for items I needed. My cellmate and I divided up the coffee into 80 shots, each worth one stamp, plus a little extra leftover for ourselves and to pay back the guy who had helped with our trade. With coffee being in such high demand in Tracy, we quickly traded all that we had. Around this time, my cellmate was transferred out and I was moved over to the cell with the guy facing E-Wing. This is when I learned about fishing in prison which is how he was able to get the coffee from the other building to ours. There is a lot to fishing in prison and anyone who knew me before my wrongful conviction knows I love fishing. Unfortunately, fishing in prison is far different than catching rainbow trout in the cool waters of the Sierra Nevada Mountains. Fishing in prison at it’s basic level is getting from one cell to another with a piece of string (your line) in order to pass items back and forth. The obstacle of fishing is how to get your line from one cell to another. Over the years, prison inmates have come up with many ways to accomplish this that they can fish items from the first floor tier up to the third floor tier without either inmate leaving their locked prison cell. In my introduction to prison fishing, I learned you could even fish from one building to the next. To pull this off I had to learn to make an “arrow” out of tightly rolled wet newspaper coated with a small amount of soap to bind and hold it together. When the paper dried it created an arrow-like shaft that could be shot out the back cell window, most of the glass in the back cell windows at Tracy had been broken out and all that remained were the bars. Next I learned how to make a “shooter” to launch the arrow, it was made out of a toilet paper tube (in prison these are about 1/2 inch wide) and the elastic bands stripped from a pair of boxers or pants. The elastic is twisted to create a thick band of rubber that is stretched across the center of the shooter. When the string/line was tied to the arrow it could be aimed out the back cell window into the area between the two buildings. A guy from the other building would then shoot his arrow out and cross my line. When the two lines were crossed, one could be pulled back into the cell. At that point the connected lines could be pulled back and forth between the two cells/buildings. Any items that could fit through the bars on the windows would be shuttled across. It could be quite comical to see lines of string stretching from one building to another, but goods were passed back and forth this way all day long. This entry was posted in life in prison, wrongful conviction and tagged fishing, JLWOP, lockdown, prison survival, prison violence. Bookmark the permalink.